It is now just nine days away from the 2015 Unogwaja Challenge, a challenge that re-traces the incredible journey of Phil Masterton-Smith in 1933. 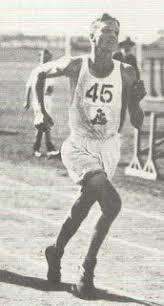 Phil was the defending down-run champion having won the Comrades Marathon in 1931, in the most riveting finish in the history of the race. He could not afford to travel from his home in the Western Cape to Pietermartizburg to defend his crown, even though that’s all his heart wanted. In a decision that would change the lives of many people almost 80 years later, he refused to give up on his dream and instead got on a bicycle and started cycling to the Comrades. We will never know the exact route he took, what people helped him, how long it took, but despite the odds, he made it to Natal and had the opportunity to follow his dream and complete the Comrades Marathon. That he came tenth is almost a footnote to the importance of heart displayed by Masterton-Smith. 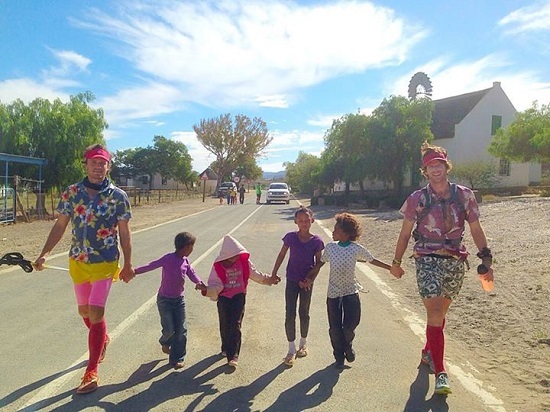 In 2011 John McInroy, founder of red sock friday, heard about the story of Phil Masterton-Smith from WP van Zyl, and with the gusto so often aligned with greatness, decided that the challenge had to be recreated. The journey had to live on. With that notion of sentiment the Unogwaja Challenge was born (Phil Masterton-Smith’s nickname was Unogwaja, which means “hare” in Zulu). 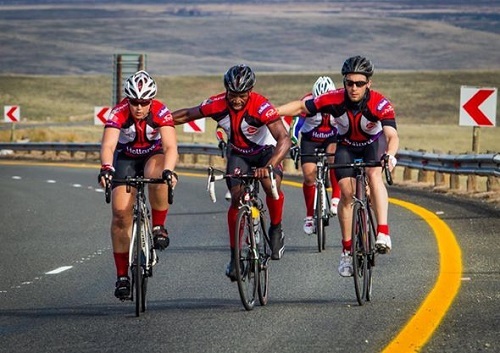 From 5 cyclists raising R50 000 in 2011, the Unogwaja Challenge has grown into a massive part of the fabric of the Comrades Marathon and more importantly a part of the fabric of a Nelson Mandela inspired South Africa. This year John, along with one of the finest human hearts alive, Robert le Brun (Brundle), added a new step to the journey. In 2015 the Unogwaja would also go on foot. This would allow all people of South Africa, regardless of affluence, location or state of fitness to join in and walk for themselves. Walking towards a dream, walking towards a goal and walking towards leaving a legacy of heart that will resonate for our great-grandchildren and hopefully their great-grandchildren too. John and Brundle have been joined along the route by various South Africans walking for themselves. Although they have now covered about 700km, you just have to look back at the first to be moved by the journey. As you wipe the tear out of your eye from watching that video its a time to remember that this is not a journey about getting to the Comrades and finishing it, it is rather a journey of following your dreams. Allowing your heart to lead and your head to follow, too often the reverse is true and we miss out on opportunities to make a true difference. The Unogwaja Challenge itself also gets underway in 10 days as the team featuring people from Brazil, Australia, America, England and South Africa continue to re-trace the steps of Phil. 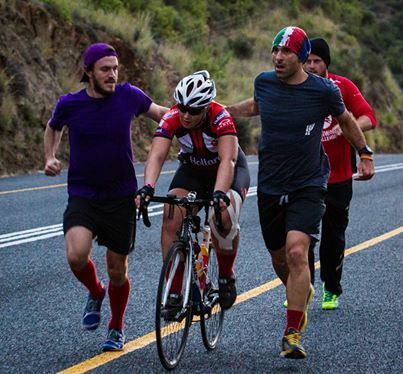 The Unogwaja Challenge is a ten-day cycle from Cape Town to Pietermaritzburg with the Comrades run on day 11. It is frankly a ridiculous physical challenge for anyone to embark on, yet its never more apparent the power of the heart. The public are invited to cycle along with team Unogwaja on the first morning of the Unogwaja Challenge. You will be with the team from their home base at the Tsogo Sun Waterfront and cycle along with them to Franschhoek. The energy you give them will be so influential in pushing them up the Franschhoek pass and on towards the energy sapping day 2. If you are interested you can join the Day 1 Cycle right here. You may think this is about a physical challenge, it may seem to you that it’s about finishing and bragging about it. But it’s not. It’s about so much more that is often hard to explain. However a simple point to make is that in the two years I have been on the Unogwaja Support Crew we have raised R2.2 million for charity, which now goes directly to the Unogwaja Light Fund. Check out our first Unogwaja Lights. Follow the Unogwaja Challenge on Twitter, Facebook and Instagram for the remainder of the month as the fifth Unogwaja Challenge gets underway. Good luck Unogwajas! Look forward to following your progress guys.